Real Madrid are reportedly actively trying to sell Isco amid transfer rumours linking him with Arsenal and Manchester City. 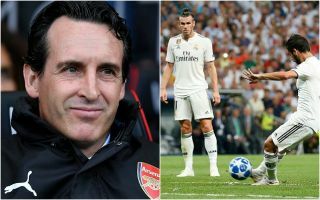 The Independent list the Gunners and City as suitors as Madrid look to sell the Spanish playmaker, who has not really lived up to expectations in his time at the Bernabeu. Arsenal have been linked with Isco before in another report from the Independent suggesting Mesut Ozil could move to Real as part of the deal, though this has not yet materialised. Still, it could be good news for the north London giants as Isco’s future in the Spanish capital really does look in doubt, though this would likely be an expensive move. Don Balon have claimed Arsenal are only ready to pay around £62million for Isco, though his club want more than that. Isco heading out of Real Madrid amid Arsenal transfer links? In truth, Unai Emery could probably do with just giving Ozil more playing time, as replacing the German is surely going to be a complicated and expensive venture. Isco could well be a superior option, though if Madrid are as keen as the Independent say they are to sell the player, perhaps that could also serve as a warning to Arsenal.